Life is not fair and you just need to accept it, that old bit of advice can go long way in keeping you from going stark raving mad in some situations, which brings us to the topic of this somewhat off-topic piece of advice. 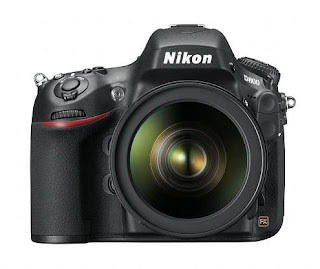 In case you haven't heard, Fox News host Greta VanSusteren just got a Nikon D800 from B&H Photo-Video, and many people aren't happy about it. . The issue many people have: VanSusteren used her celebrity status to jump the line and got the camera virtually overnight while others have been waiting for over 2 months (and counting) for their D800 to arrive. Like it or not, life simply isn't fair, sorry. VanSusteren is a world-famous journalist and, frankly, it should come as no surprise that, when she goes in to buy a camera (she probably went to B&H since it is based in New York City, just like Fox News) and said that she was looking for a camera to take to the recently-divided Sudan, top brass decided to just let her buy one on the next shipment that came into the store rather than wait her turn in line like all the Average Joes and Janes had to do..
Is it fair? No. Should you be upset? No t that, too. Obviously, in order to get a show on Fox News, you have to have talent, a lot of it. Think about it: how many reporters never get past the local newspaper? The vast majority. When it comes to getting on TV in the first place, only a lucky, talented few get to do so in their local markets, few of whom then move on to something even bigger, the national news scene. Obviously, to get as far as she did, VanSusteren had to be in the top percentile of journalists in regards to both reporting and television skills. Obviously, to excel at both sides of reporting the news to such an extent as to get one's own national TV show is a big accomplishment. My take: Greta worked hard to get where she is today and, if she can use her hard-won status to jump the line and get a D800 right away, good for her! The United States is an interesting study in human nature. In one vein, we value hard work but in the other, we often resent those who achieve success in whatever they choose to do (and the rewards success brings) through the hard work we so value. See the problem? Don't want to work? Well, you're a lazy oaf. Work too hard? Then you're a self-centered workaholic. Either way, you're screwed. Whatever happened to going for the gold and being all you an be? Another paradox in U.S. psychology: we want to be rich but are often resentful of the people who are rich. Think about it: who doesn't want to have a lot of money? Me? I'll take all the money I can get, thank you very much. On the other hand, whenever we see someone who lives in a huge house, drives an exotic car, or snaps pictures with a fancy camera, we often think the following: well, he/she has that, so why shouldn't I be able to, too? Generally speaking, people who put the most effort into their work often get the raises and promotions, which means more money to be made and spent on things like houses, cars, and cameras. Want to have nice stuff, the same stuff that makes you green with envy (or red hot with jealousy)? Well, work a little harder! Bosses recognize hard workers and, sooner or later, that hard work pays off. Yes, being the better worker can mean more work for you now but, in time, it will be you, not that slacker who you have to bail out all the time, who gets the promotion, the raise, and all the perks that go along with moving up on the chain of command. Yes, doing enough to just “get by” is fine for some people but, if you're one of these people who's content with mediocrity, don't go whining about not being able to have nice stuff or any of the perks that those who have made it enjoy. Bottom line: Greta VanSusteren worked hard, made it to the top of her field and is, thanks to her hard work, able to do things the ordinary person can't, so stop whining about 'fair,' get to work, and make something of yourself instead.